The ability to drive is highly beneficial for any career minded individual. Access to your own vehicle allows you to travel to job interviews and affords you a simple and convenient way to get to your place of work each day should you land it. This is a given. However, driving licences and reliable access to a vehicle are rapidly becoming prerequisites stated in employers’ advertisements for staff: owning a vehicle is a personal trait that many employers favour when searching for staff. Increasing numbers of businesses and companies are taking the firm stance of “no licence, no job”. But why? Well, being able to drive shows a certain commitment from employees, as driving lessons are no easy feat and require dedication and patience to reach the point of passing the practical test. What's more? Driving a vehicle implies that you are going to be a more reliable and trustworthy employee, as you have a means of getting to work on time that doesn’t involve the regular delays that come hand in hand with public transport. It also means that you can get to more remote locations that are off the beaten track of train and bus routes. Finally, driving offers a level of flexibility. If your employer requires you to visit clients or different sites as part of your role, you will be able to get there with ease. In this sense, driving is a particularly profitable asset to you as an individual. However, driving also comes with expensive financial costs. You have to tax and insure your vehicle, as well as forking out for insurance policies, maintenance and fuel. But not to worry. Before you cast your keys aside, here are a few tips to make driving affordable. This will allow you to maintain the career benefits of vehicle ownership without breaking the bank in the process. When you choose a vehicle, you need to be logical with your choice. While a brand new motor may seem appealing, it will immediately lose significant value as soon as you drive it off the forecourt. Instead, opt for a second hand alternative. 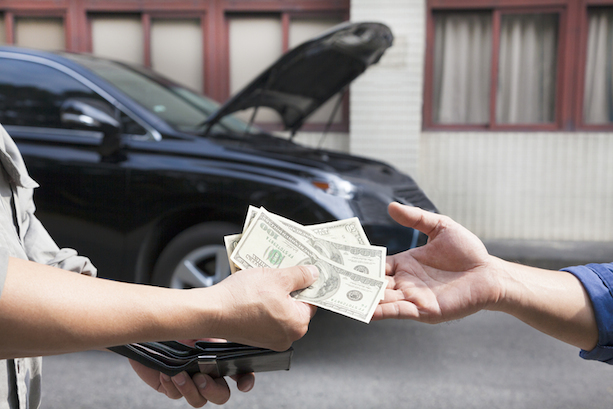 Ensure that you give it a complete check over before handing any cash to the seller. You don’t want to find that it has major and expensive faults down the line. Sometimes you will experience minor damage to your vehicle that would prove cheaper to repair independently than through your insurance. So, if your insurance premium is high and you want to maintain your no claims policy, invest in high-quality, reliable spare parts from https://www.partsengine.ca/ and find a reliable mechanic to fit them. This proves much more economically viable. The market for insurance policies is extremely competitive, so don’t allow yourself to fall in the habit of sticking with the same provider out of habit. Alternative providers may have the policies that cover the same aspects of your car’s insurance for a much cheaper price. Bearing this factors in mind, you will be able to reduce your motoring costs drastically, making driving the most economically viable option to advance your career and incomings.